I am a LASIK surgeon who wears glasses. Well, most of the time I wear contact lenses, but the fact is, I cannot see more than an inch past the end of my nose without a lens in front of my eye to correct nearsightedness. When things go “bump” in the night and my wife asks me to investigate, without glasses on my face, I am quite simply a blind offering to the boogeyman. I would love to live life without these lenses, but I will never have LASIK. Many patients ask why I am willing to perform a surgery on them that I will not undergo myself. The answer strikes at the heart of why I am a physician and specifically, why I am an ophthalmologist with subspecialty training in corneal disease and refractive surgery. The answer involves my DNA and the good people who raised me. The answer may help you and your loved ones as you consider whether refractive surgery is right for you. Let’s start with some essential knowledge. Refractive surgeries, such as laser-assisted in situ keratomileusis (LASIK) and photorefractive keratectomy (PRK), are eye surgeries in which the cornea is reshaped to correct nearsightedness, farsightedness, and astigmatism. 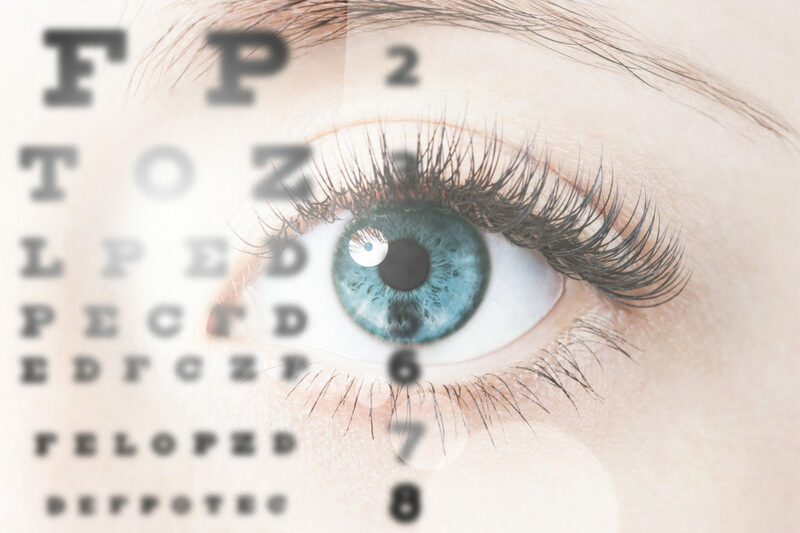 The goal of refractive surgery is to take perfect eyes, which see well through lenses, and maintain perfect vision without the hassle of lenses. Over the decades, millions of patients and many clinical studies have shown that LASIK is safe and effective. The risks, complications, and side-effects are well documented. We have learned who is a good candidate for surgery and, more importantly, who is not. Unfortunately, I am not a good candidate for LASIK. The word keratoconus comes from the Greek and Latin words kerato (cornea) and conus (cone-shaped). The word may be unfamiliar, but in my childhood home, it was common. Several members of my family have keratoconus, which causes thinning and weakness of the cornea. Treatments exist, but even the smallest amount of keratoconus should halt the discussion of LASIK since surgery can cause progression. My family’s experience fuels my work as an eye surgeon. While I do not have the disease, my genes are susceptible and so I continue with pesky lenses. As a LASIK surgeon, I suggest three keys when considering LASIK. Since its introduction over 15 years ago, blade-free LASIK has decreased the risk of complications, such as button-holes and amputated flaps. Advanced technology has also decreased the risk of glare and halos, which were very common with early LASIK. Unfortunately, keeping up with technology is expensive, and some surgeons continue to use microkeratomes (razor-blades) in order to cut costs. Be cautious when considering cheap LASIK as this may be a warning sign of outdated technology. Ask your surgeon whether blades will be used on your eyes. The experience, skill, training, and disposition of a refractive surgeon are more pivotal during the screening process than in the actual surgery. Complications can be avoided through a careful, searching, preoperative examination. Be honest with your surgeon, and expect honesty in return. Even with the most advanced technology and meticulous preoperative screening, some risk is unavoidable. Serious complications and side effects can happen, but they are rare. Find a surgeon you trust, and bring your questions! Refractive surgery is not for everyone (myself included). 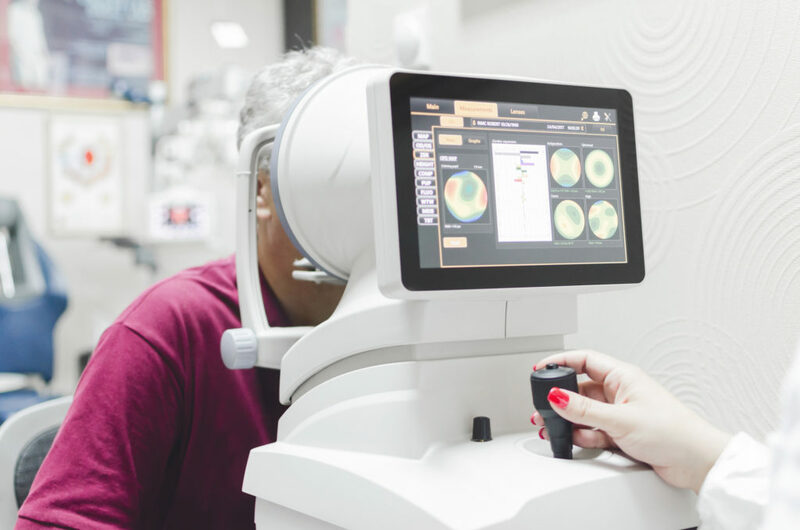 However, armed with information, advanced laser technology, careful preoperative screening, and detailed discussion of risks and benefits, you can be confident when it comes to your eyes. As a cornea specialist, Dr. Behunin is trained in the latest corneal transplantation techniques, Descemets Membrane Endothelial Keratoplasty (DMEK). He is also fellowship-trained in refractive surgery (LASIK, PRK, etc) and advanced cataract surgery. Dr. Behunin studied pre-medicine at Southern Utah University and obtained a Bachelor of Science degree in business administration and a Doctor of Medicine degree at the University of Utah. He completed residency training in ophthalmology at Pennsylvania State University. He then completed a fellowship in cornea and external disease at the University of Michigan’s Kellogg Eye Center, consistently ranked among the top 7 eye centers in the US. Dr. Behunin is a member of the American Academy of Ophthalmology, the Cornea Society, and the American Society of Cataract and Refractive Surgery. His writing has been featured in many ophthalmology textbook chapters, in popular ophthalmic magazines, and in peer-reviewed journals. Dr. Behunin’s family is the greatest joy of his life. He and his wife, Jodie, are the parents of 3 children. They enjoy sports, watching cheesy movies, and exploring nature.